This past week was a week consistently of researching a current aspect of the helicopter’s role in the United States while also preparing for the biggest two weeks of my research. I am going to visit the American Helicopter Museum this Friday afternoon and meet with the director there to ask general questions as well as go into a detailed discussion about an old V-22 Osprey they have on site and why it failed over time as a design. I also plan to take photos of the many retired helicopters they have on the property. The weekend after that I will be returning to the museum for helicopter rides day where I will take a video of the process of start-up, take-off, flight, and landing. Lastly adding to my project update I will be calling into a Coast Guard Aviator stationed in Atlantic City tomorrow to ask him questions about the role the helicopter plays there. This week, I researched one aspect the helicopter plays currently in our country and how it has evolved to better protect the contents inside. This role is protecting the President of United States, Barack Obama, this helicopter fleet is used to transport him to and from the airport or to nearby cities from the White House and these helicopters obviously have to be heavily armored. Besides having to be heavily armored and have bullet proof glass and fuselage, it must be small enough to land on the lawn at the white house while also being able to fit at least fourteen people inside and thousands of pounds of equipment for 300 miles. The helicopter must also have an advanced defensive unit including countermeasures such as decoy flares that block missiles from locking on to or tracking the president’s helicopters. The helicopters must also be able to be “hardened” against electromagnetic pulses from a nuclear blast that could shut down the electronics on board if it is not properly built. The president must also be able to make secure videoconferences or receive secure messages from on board. Lastly, it must have a toilet on board. After nearly 20 years with the same helicopters, the U.S. Defense Department is signing a contract with Sikorsky to upgrade to a new fleet for $1.24 billion. Sikorsky helicopters have been transporting the U.S. presidents since 1957. The contract to design the new helicopters was almost won Lockheed Martin until the costs became too much for them. 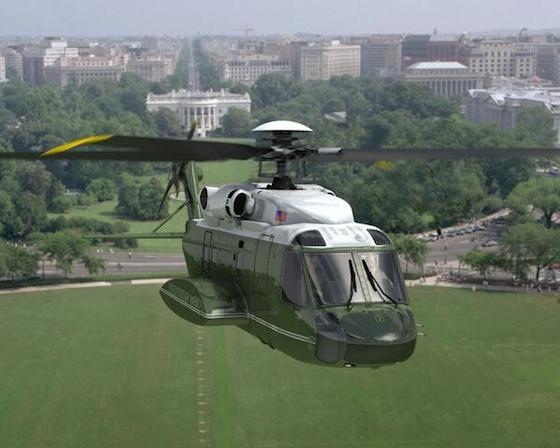 They will be designing updated versions of the VH-92 helicopter for the president and meet all of the requirements including being resistant to bird strikes. This new fleet will be released in 2019 to the president at that time, this just shows how much money is put into protecting the president and how the technology for highly advanced helicopters is out there it just comes at a very very steep price. This entry was posted in Math and Technology and tagged #edu, #students, American Helicopter Museum, aviation, helicopters, Independent Seminar, Marine One, Obama, westtown school on April 28, 2015 by jcspiege.